The Lamborghini Aventador Superveloce Jota or 'SVJ' made its global debut earlier in 2018 and it's probably the final hurrah for the Aventador. only 600 examples of the SVJ will ever be produced and we're glad to see one of them. 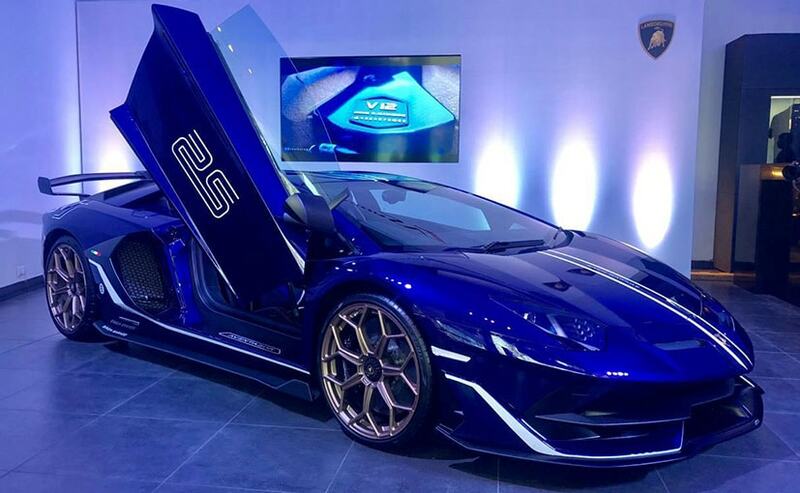 There will only be 600 examples of the Lamborghini Aventador SVJ. We have got one right in the first delivery batch. It can take a 0-100 kmph stint in just 2.8 seconds. The much-awaited complete manic avatar of the Lamborghini Aventador, the Aventador SVJ has finally been launched in India and we are rather proud to have one on our roads in the first delivery batch itself. 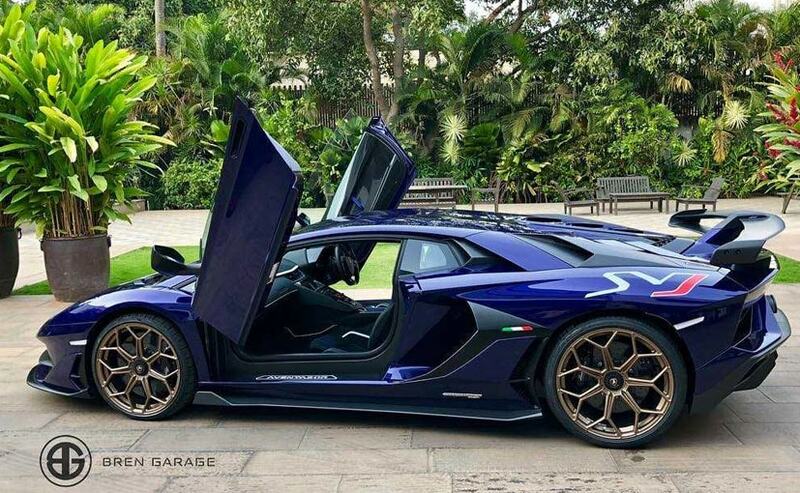 India's first Lamborghini Aventador SVJ has been delivered in Bangalore, Karnataka to a private buyer and it is one of the first examples of the limited edition supercar. The Lamborghini Aventador Superveloce Jota or 'SVJ' made its global debut earlier in 2018 and it's probably the final hurrah for the Aventador. Revealed at the Pebble Beach Concours d'Elegance 2018, only 600 examples of the SVJ will ever be produced and we're glad to see that one of them has landed on Indian shores. This just shows how the company has been able to grab its share of customers in the country, with its varied products. Only 600 examples of the Lamborghini Aventador SVJ will be produced and we've got one in India right in the first batch. The Lamborghini Aventador SVJ takes the design quotient to manic levels on the supercar over the S and even the SV versions. The car comes with additional vents on the bonnet, a larger front splitter and a new rear wing that is held in place by two curved arms and a centre arm. The car also comes with a new dual-pipe exhaust system. The new system enhances the diffuser's effectiveness by removing exhaust gases from an aerodynamically sensitive area. 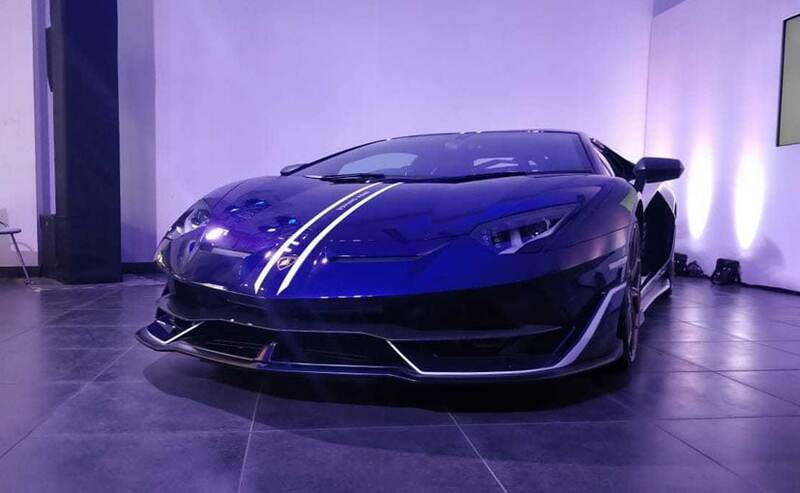 The supercar also comes with Lamborghini's patented active aerodynamics system and aero vectoring, both of which have enhanced the car's performance. The Lamborghini Aventador SVJ takes just 2.8 seconds to clock triple-digit speeds. Lamborghini Aventador SVJ churns out 770 bhp and 720 Nm of peak torque from its mammoth 6.5-litre V12 naturally aspirated engine. That a power bump of 20 bhp over the Aventador SV and more than 70 bhp over the Porsche GT2 ₹ 0-100 kmph is done in 2.8 seconds, while 0-200 kmph comes up in 8.6 seconds. The top speed is rated at 349 kmph.